The offering of prayer flags is an ancient Tibetan Buddhist tradition that brings blessings and peace for oneself and other living beings. This puja brings happiness, prosperity, longevity and harmony while continuously dispersing prayers and blessings on the winds, collecting continuous merit for you and your loved ones. 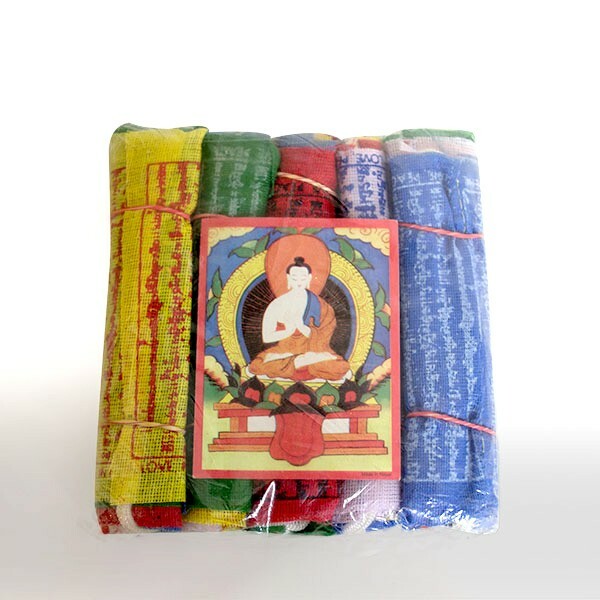 Available in sets of 100 prayer flags, which will be hung on a hilltop near Gaden Monastery in India, accompanied by traditional rituals and offerings. 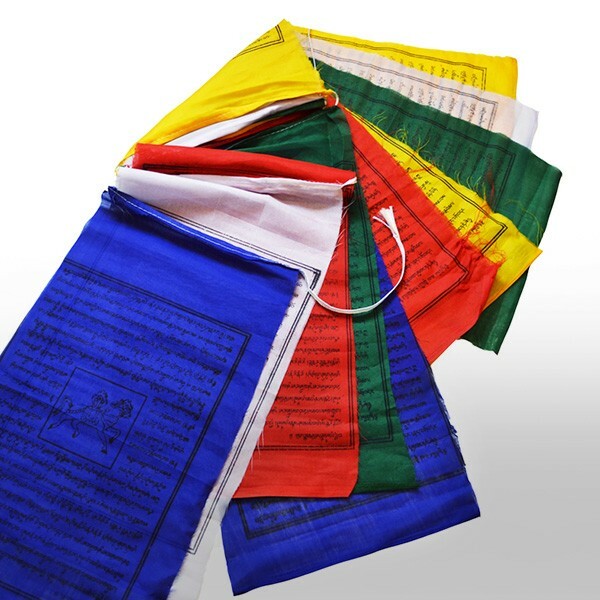 Prayer flags are inscribed with auspicious symbols, invocations, prayers, and mantras for generating compassion, health, wish-fulfillment, and for overcoming diseases, natural disasters and other obstacles. 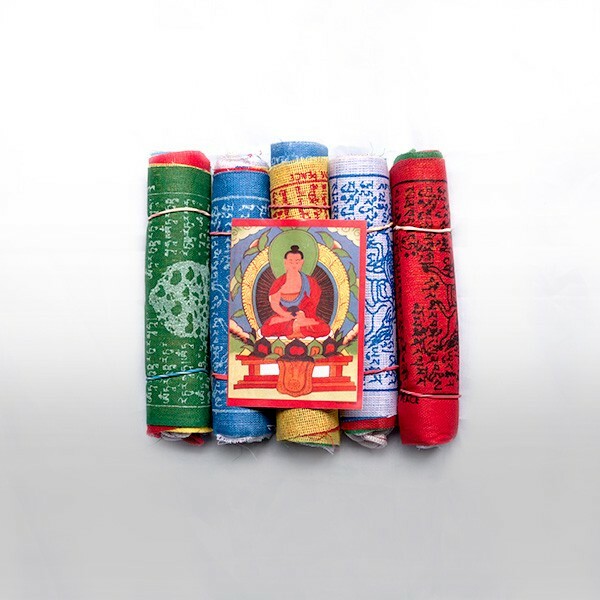 Typically hung in windy, mountainous areas, prayer flags moving in the wind generate a natural positive energy, bring spiritual vibrations and offering protection and harmony to everything touched by the wind. Prayer flags are 5 coloured cloth flags which are strung on ropes and hung in horizontal displays or tied on vertical poles. The 5 colours represent the 5 basic elements: Earth (yellow), Water (green), Fire (red), Air (white) and Space (blue). When these elements are in balance both externally and internally, it is said to bring harmony to the surrounding environment and healing to the body and mind. 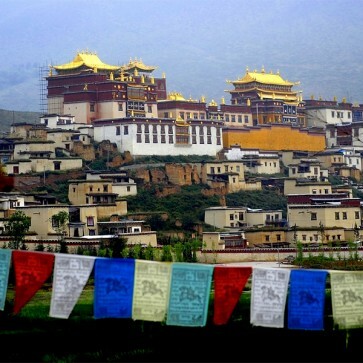 For centuries, Tibetan Buddhists have planted prayer flags outside their homes and places of spiritual practice for the wind to carry their beneficial vibrations across the countryside. There is perhaps no simpler way to create good merit in this troubled world of ours than to put prayer flags up for the benefit of other living beings.